Watching all the movies on the Warner Bros. 50-movie box set that I bought for cheap. 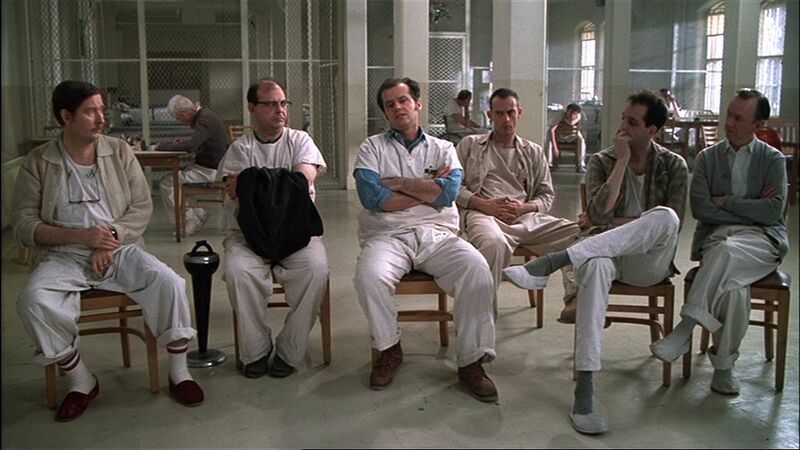 This week the random number generator checks us into the psych ward for One Flew Over The Cuckoo’s Nest. 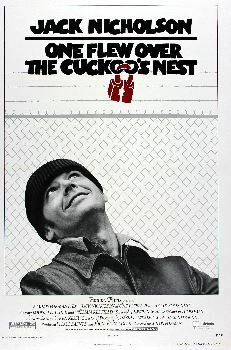 Here’s what happens: Criminal thug McMurphy is transferred from jail to the psych ward. Is he really crazy or is he faking it to get out of work detail? 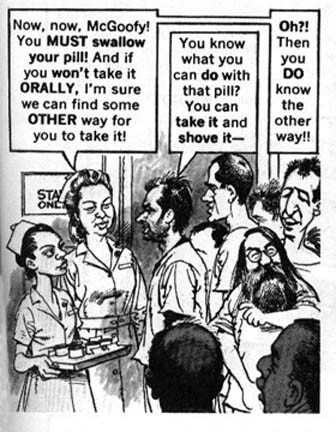 Either way, the outrageous McMurphy makes some attempt to befriend his fellow patients, and he clashes with the strict Nurse Ratched. 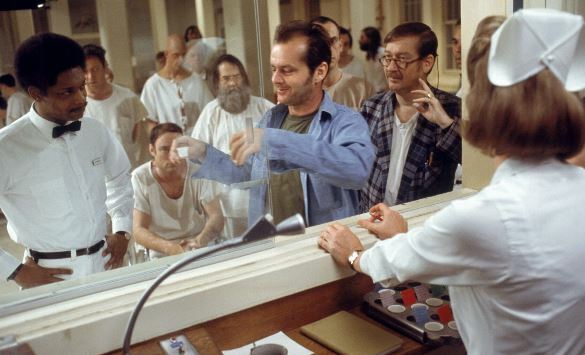 Why it’s famous: Killer performances by Jack Nicholson and Louise Fletcher, along with a whole cast of before-they-were famous character actors. Get your film degree: With the exception of the famous sailboat scene and one short scene at a swimming pool, most of the movie takes place on the same three or four sets. This gives the sense that the characters are trapped, but there’s still enough breathing room to keep the whole movie visually interesting. 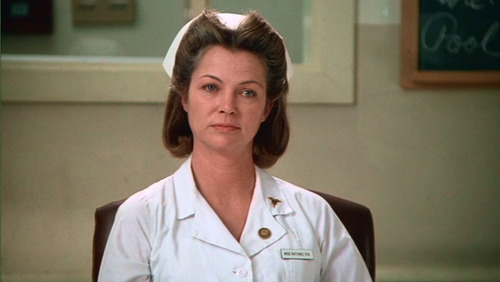 Movie geekishness: Nurse Ratched appears on a lot of “best movie villain” lists, but is she really evil, or just doing her job? I could go either way. She’s a harsh disciplinarian, but these bunch of jokers could probably use a little discipline. Thoughts upon this viewing: This is a good movie with good acting, yet I’m rather perplexed as to how it was such a huge blockbuster back in the day. Everyone went to see this, yet it feels like a small indie movie and not big Hollywood. I guess you never know about these things. Next week: Something something bling something.